As a booth renter SalonTarget offers powerful and easy to use software to help you keep organized. Our unique booking system allows for quick and accurate scheduling and our easy to read reporting gives you the information you need to reach your goals. With the ease and convenience of Cloud, you’ll never be stuck at your desk again. Manage your schedule from any device with an Internet connection. 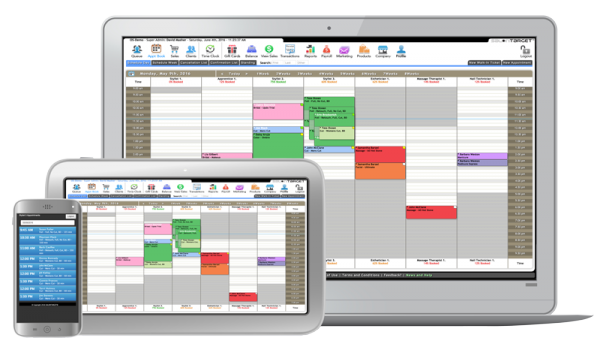 Clients are automatically reminded of their appointments by email, text and voice. Also send individual e-mails and text messages right within the software. Hassle-free communication to make sure no one gets missed. SalonTarget is the leader in new technology for salons & spas. To find out what we can do for you, simply tell us about yourself and we’ll put you at ease.